Al Quseir is one of the Egyptian gateways, and one of the oldest cities on the western coast of the Red Sea. In the past it was known by various names, such as Thagho in the pharonic period, Licos Limen (the white port) in the Ptolemaic period, and Portus Albus in the Roman period. In the Islamic period it was given the name Al Quseir, which means "a small palace or fortress". 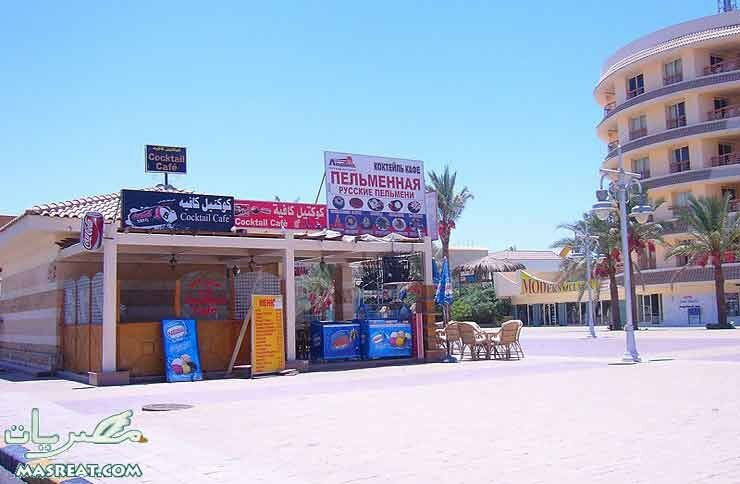 Located between Hurghada and Marsa Alam, Quseir used to be an important port. Many people traveled from there to the land of Punt to buy ivory, leather and incense. During the Ottoman and the Islamic periods, Egyptians and Muslims from North Africa traveled from Quesir as pilgrims to Mecca. It was also the only port importing coffee from Yemen. During the French occupation of Egypt, Quseir was the arrival point for Arabs and Muslims from Hegaz coming to fight beside the Mamalic against the French army. The most important sites in Quseir are the fort and the water reservoir. The water reservoir was Quseir's only source of drinking water 100 years ago. Al Quseir Al Kadima is another important site as well. It was the old Roman port where hundreds of amphora and old pottery artifacts were found. Even the police station is located at a historical site. There are now many bazaars here, as well as cafes, coffee shops and restaurants offering sea food. There are several 300-year-old buildings here: the Ottoman fort and the old mosques Al Farran, Al Qenawi and Al Senousi. Al Quseir is known for diving, with many miles of unspoiled coral reef. Most hotels have dive centres, and there are some downtown, as well. Safaris are popular here, either by quad bike or jeep, including trips into the desert and visits to a Bedouin village, as is camel-riding.